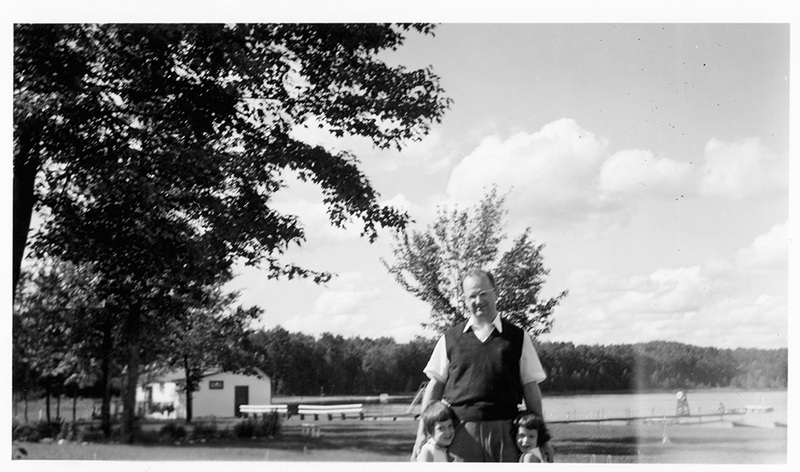 R.S., Ruth, and Sally Mendelsohn standing in a park-like area in front of a large body of water. R.S. has his arms around his two daughters.